Marie Antoinette streaming: where to watch online? The young Austrian princess Marie Antoinette (Norma Shearer) is arranged to marry Louis XVI (Robert Morley), future king of France, in a politically advantageous marriage for the rival countries. The opulent Marie indulges in various whims and flirtations, including Count Axel (Tyrone Power). 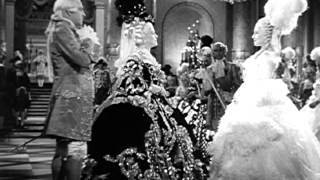 When Louis XV (John Barrymore) passes and Louis XVI ascends the French throne, his queen's extravagant lifestyle earns the hatred of the French people, who despise her Austrian heritage. You can buy "Marie Antoinette" on Vudu, Google Play Movies, FandangoNOW, YouTube, Microsoft Store as download or rent it on Vudu, Google Play Movies, FandangoNOW, YouTube, Microsoft Store online.